Happy Birthday to The King! 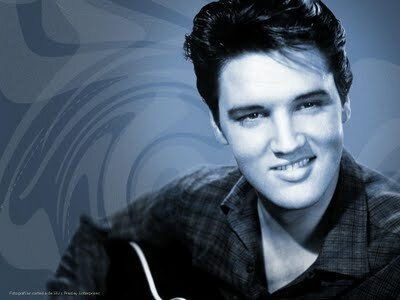 Elvis would have been 83 today and in honor of his birthday I say we delve deep into his psyche! Whatya say? “Larry, listen, I’m going to tell you something, and it might even sound strange, but it’s something I’ve secretly thought about before. Maybe, maybe it was me. Maybe it was something I did, ya know? Who knows, maybe when we were in the womb together we were fighting like Jacob and his twin like it says in the Bible. Man that story always stuck with me. Maybe I was like Jacob who tried to stop his brother from being born first. Hey, I’m just saying…anything’s possible. In my latest book Dream On It, Unlock Your Dreams Change Your Life you will learn how the dreaming mind works, the 10 MUST KNOW RULES to understanding every dream, how to easily figure out what the different people in your dreams mean, and so much more. Plus, there’s a comprehensive dream dictionary in the back. It’s the most thorough dream book out there and has gotten nothing but 5 star reviews! Plus, it makes a PERFECT GIFT for anyone on your list. It is available at bookstores everywhere as well as at your favorite online retailer. Want to start reading Dream On It in just seconds from now? You can!! It is also available on Kindle and on Nook.